The Team YouTube Twitter account has confirmed that this is a bug, and that they're working on a fix. At least this wasn't an intentional change. Google rolled out a new YouTube app update recently, but something was missing. As of version 13.27, you can't tap on the seek bar to go to a different location in the video. So, the seek bar is basically broken, which is a rather fundamental part of a video player. Technically the seek bar still works if you use it in a particular way. In the new version, tapping on the seek bar no longer goes to that spot in the video. 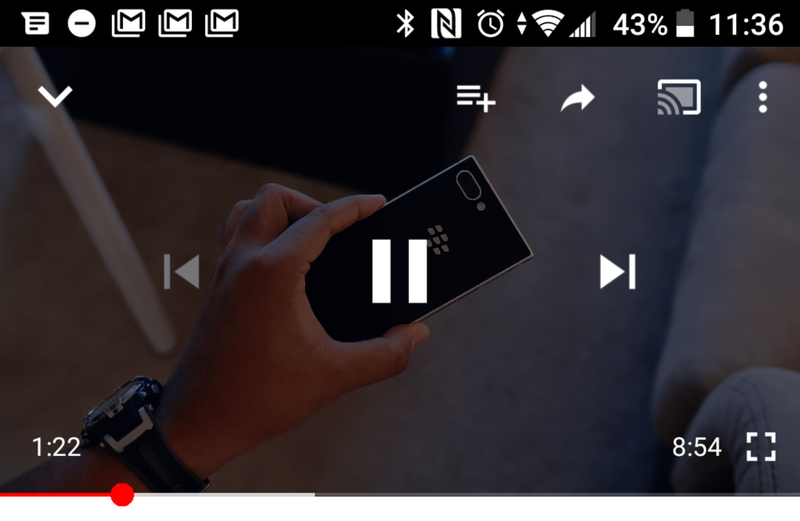 You can, however, tap on the dot indicating the current playback location and drag left or right. This workaround seems far from ideal to me, and it looks like every human being on Earth agrees. We've been getting tips, video proof, and links to Reddit threads about the issue. People are not happy. The video above really drives home the absurdity of this situation. This is especially obnoxious because you can't tell what's wrong at first. You might think you missed the seek bar when you tapped, but no, it keeps happening. Some users seem to think the new seek bar behavior is intentional, but I can't imagine how any developer would think this is a good idea. My money is on a bug that Google missed in testing. Let's be real: The last few days of YouTube-watching have been rough stuff, forcing us to drag around the seek bar like we're in the Stone Age. But while we were none too happy about that turn of events, at least there was cause for optimism — since Google had clearly identified this behavior as a bug, and not an intentional change, a fix was coming. Thankfully we haven't had to wait very long at all, and this morning we spotted a new YouTube v13.28.54 release. After a quick sideload, we've been able to verify that the tap-to-seek mechanic is fully restored. Grab it over at APK Mirror and get back to business right now, or just wait patiently for the update to hit your phone organically.